In the recently published appeal of Farrant v. Laktin, 2011 BCCA 336, the Court of Appeal ordered a new trial for a plaintiff who sustained a personal injury in a car accident which occurred in March 2004. At trial, the plaintiff was awarded $20,000 in damages for his injuries. The trial judge decided that the plaintiff had not established that the accident had caused his ongoing disabling pain. Instead, he found that the plaintiff’s whiplash had resolved for the most part in four month’s time. 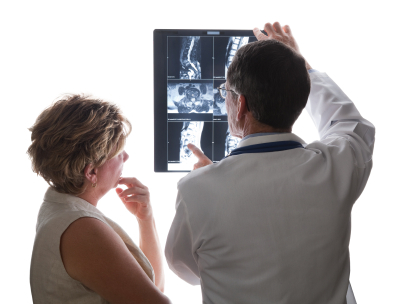 On appeal the plaintiff argued that the trial judge erred in law by casting the issue of causation as an either/or choice between the accident and the plaintiff’s pre-existing spinal degeneration. Turning to the judge’s analysis, I am satisfied that two uncontentious facts demonstrate that, in finding the plaintiff had failed to establish the disabling pain would not have occurred “but for” the defendant’s conduct, the trial judge considered only whether the accident was the sole cause of the disabling pain, and failed to turn his mind to whether there was a substantial connection between that pain and the accident. The first was the consensus of the medical witnesses that the plaintiff’s spinal degeneration made him more vulnerable to the injuries he sustained in the accident. This demonstrated some inter-relationship between the two potential causes of the disabling pain, and should have led the judge to consider whether the accident was a trigger that accelerated and aggravated the spinal degeneration, causing the disabling pain to develop earlier than it would have without the accident. In short, were the whiplash and spinal degeneration both a necessary cause of a single and indivisible disability? The second was the trial judge’s finding that the plaintiff’s condition after the accident never resolved to its pre-accident state. This established that the injury from the accident continued to contribute to the plaintiff’s back pain to some degree at the time of trial. The trial judge was therefore obliged to assess the extent of its contribution, and determine if it was substantially connected to the disabling pain beyond the de minimus range. If so, the crumbling skull doctrine would come into play, requiring an assessment of what the plaintiff’s condition would have been had the accident not occurred. The defendant argues it is implicit in the trial judge’s analysis that he considered these matters and resolved them in his favour. I am unable to agree. While I appreciate the trial judge set out portions of Athey and acknowledged the “but for” test, nothing in his application of those principles demonstrates he was aware the plaintiff need only establish a substantial connection between the whiplash and the disabling pain, and was not required to prove the accident was the sole cause of that pain. Nor do his reasons demonstrate an attempt to determine the relationship between the injuries in the accident and the spinal degeneration, or to assess the degree to which the plaintiff’s unresolved whiplash contributed to his disability.